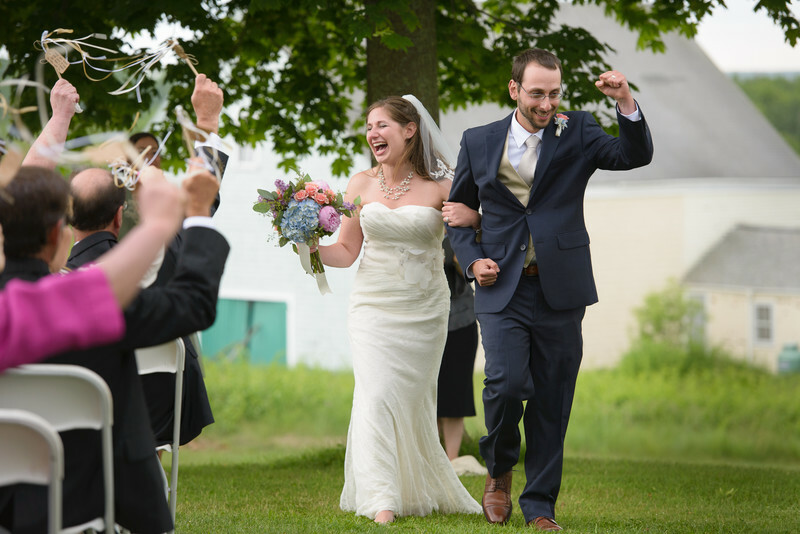 Wedding at Laudholm Farm - Josh and Sarah walk down the grassy aisle at Laudhold Farm as husband and wife. Laudholm Farm offers a perfect Maine inspired wedding theme featuring both a beautiful farm and coastal views. Location: Wells Reserve at Laudholm Farm.